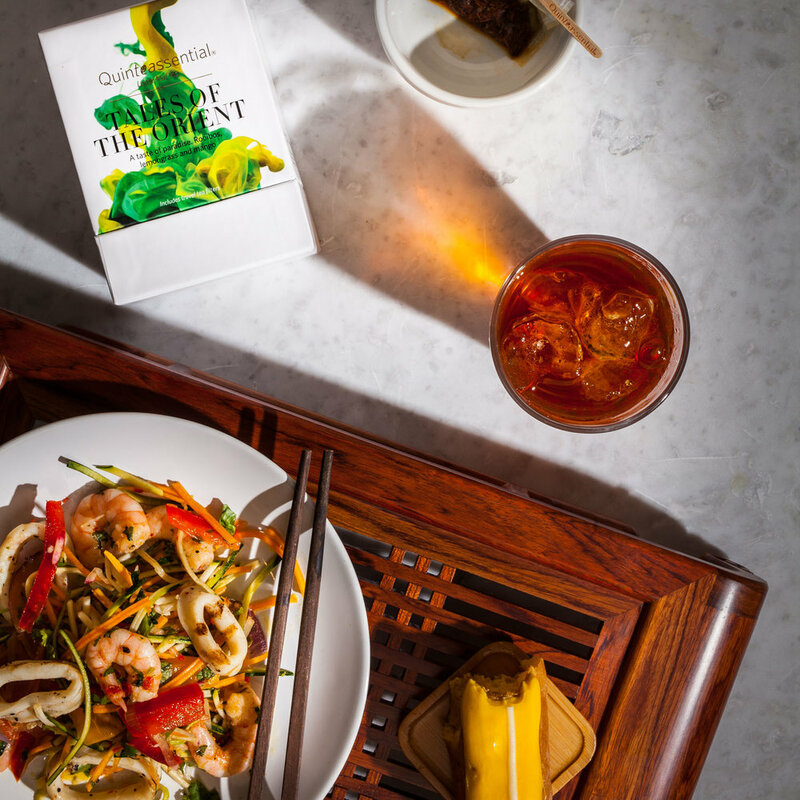 Fresh and citrusy, the Tales of the Orient is a caffeine-free, medium-bodied rooibos blend. Notes of sweet mango, lemon peel and pink pepper add layers of indulgence to this thirst-quenching brew - the perfect tonic for a great adventure. Brewing: 1-2 teaspoon/cup. Water temperature 100˚C. Infuse 5 minutes. For a perfect brew, scan QR code with any free code reader app to trigger a unique soundtrack that acts as a tea-timer.